The operators we are using in the program have their precedence. While compiling compiler will check the priorities and then decide the order of evaluation. 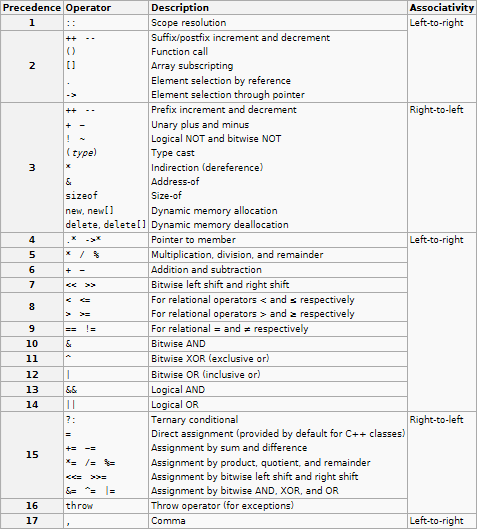 That depending upon the precedence compiler will start the compilation process from left to right or right to left. Let’s check the priority and evaluation table given below.